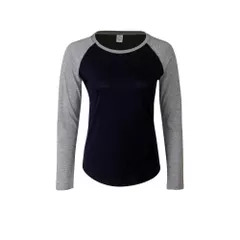 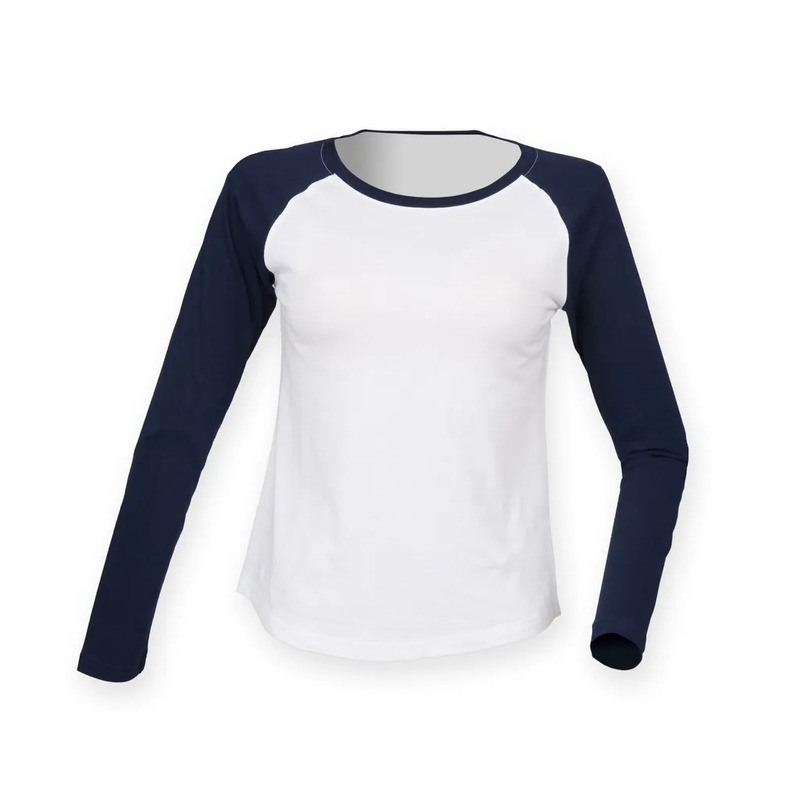 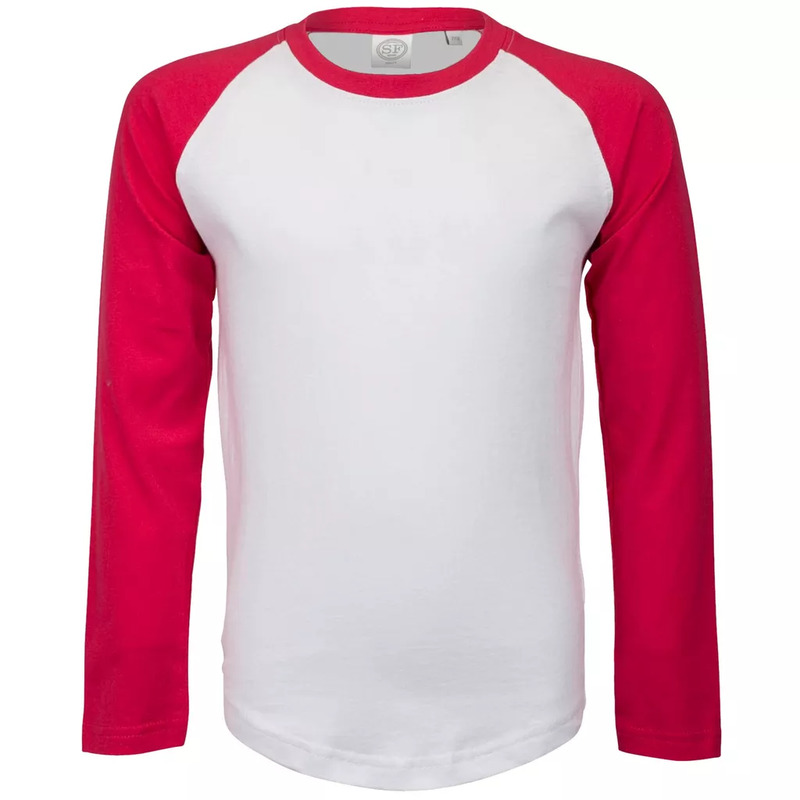 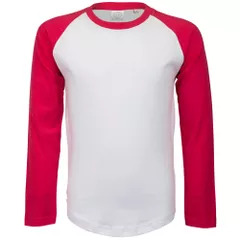 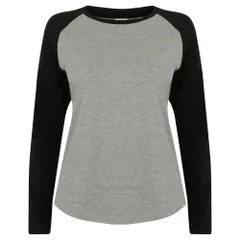 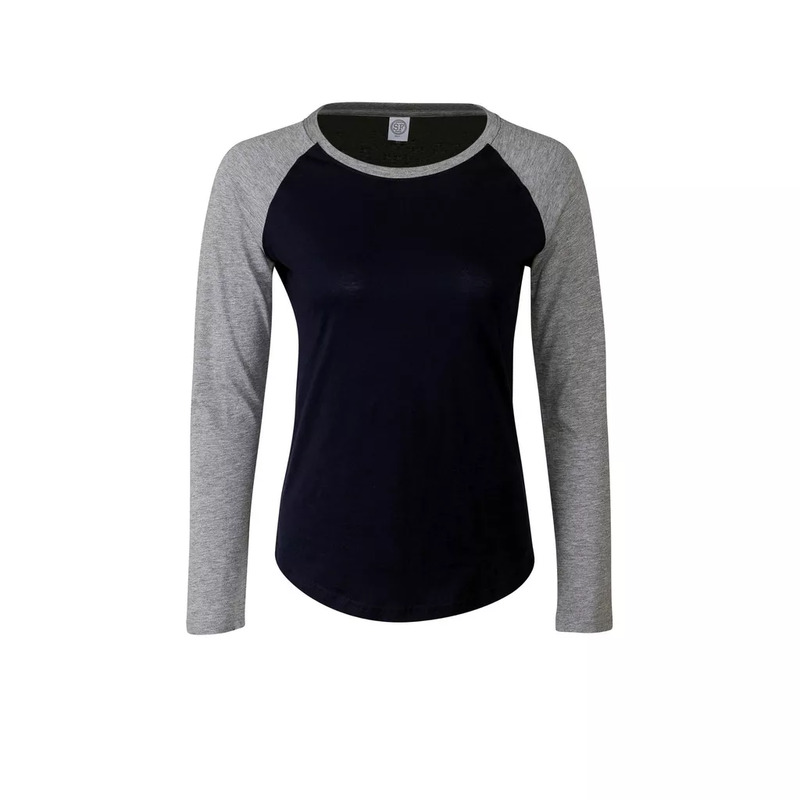 Contrast raglan sleeve and ribbed neck with back-neck tape. 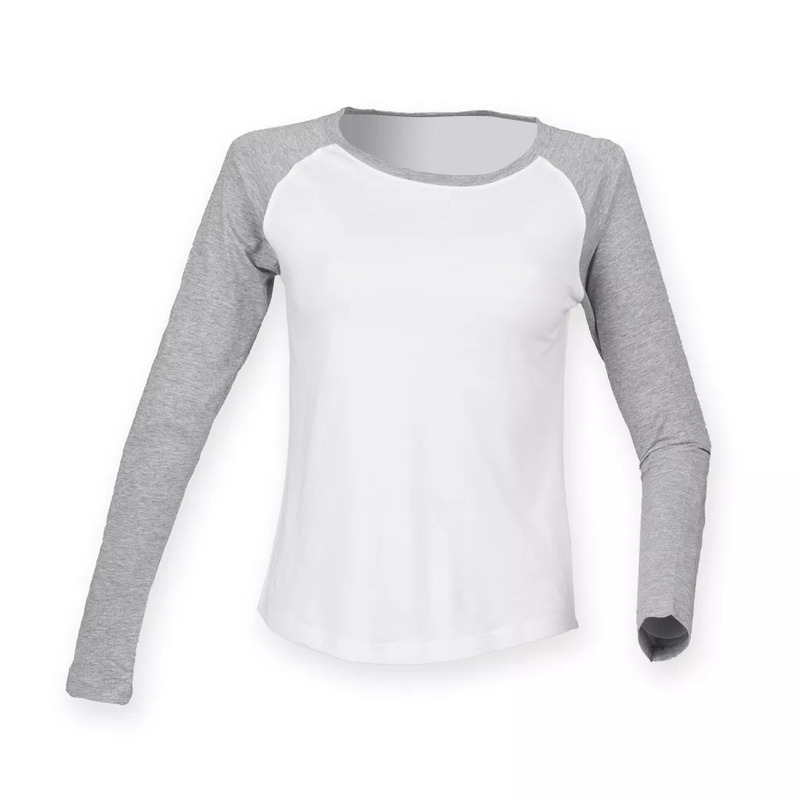 Long-line fit and shaped side seams. 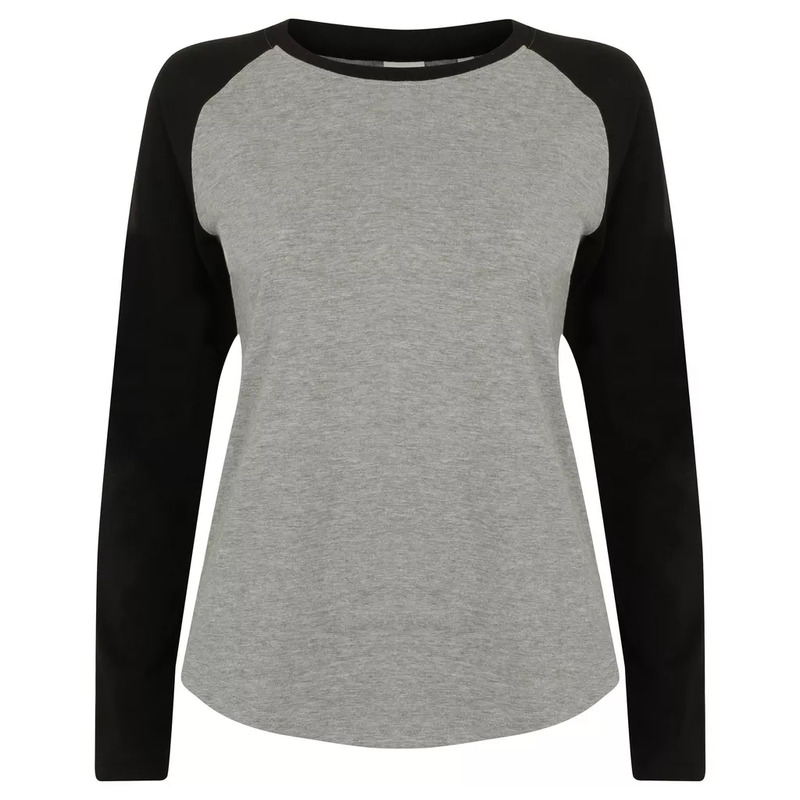 Heather Grey: 85% Cotton, 15% Viscose. XS: 8, S: 10, M: 12, L: 14, XL: 16.